Several hundred protesters gathered for an anti-NATO rally on Saturday in Prague, protesting against a US military convoy set to parade through the Czech Republic. The rally clashed with a pro-NATO demonstration held nearby. Footage by RT’s Ruptly agency shows anti-war activists carrying flags and placards with logos such as ‘Tanks? No Thanks!’ and ‘Stop US Army.' At the same time, the pro-NATO demonstrators armed themselves with flags in support of the US military forces. Scuffles and arguments erupted between the two groups. There were no reports of violence and police made no arrests. The anti-NATO protesters have been speaking out against the bloc's 'Operation Dragoon Ride' drills, which involve over 100 US Strykers stopping in a new European city every night. As protestors gather across Mexico to demand answers about the 43 students who have been missing since September, demonstrators in Washington, DC are also showing their support, hoping to inspire progress from the US. Anya Parampil reports live from the DC protest. The English subtitles begin soon after the film is underway. A hundred miles off the coast of Africa, the American military has built a base in Niscemi, Sicily. Behind the cordoned-off facility, there is a new war instrument called the Mobile User Objective System (MUOS). MUOS is used for drone-to-Earth communication. "When the Americans landed they began to collaborate with the mafia....."
Why Do Washington-London-Brussells Hate RT? Media wars have reached a whole new level. Secretary of State John Kerry, members of the EU and NATO all have singled out the television station - RT - as some kind of security threat. They are trying to Putin-ize the network and make the global public afraid to listen to the what they have to say. On my way to the store this morning in the car I was listening to right-wing talk radio shock-jock Glenn Beck. He was lauding the new 'film' by Fox News screamer Bill O'Reilly called "Killing Jesus". Seems a real disconnect that mean-spirited O'Reilly is channeling Jesus - but then again it makes sense - the Fox News host wants to deepen his credibility with the growing Christian fundamentalist audience. Too bad O'Reilly didn't learn anything about how to treat other people while studying the prince of peace. Listening to Beck promote the O'Reilly film I thought about the steady flow of disinformation that is aimed at the public citizenry by corporate controlled media. Especially younger people, who have little direct political experience, their minds are open books to be filled with the fear-based agenda of the corporate empire. 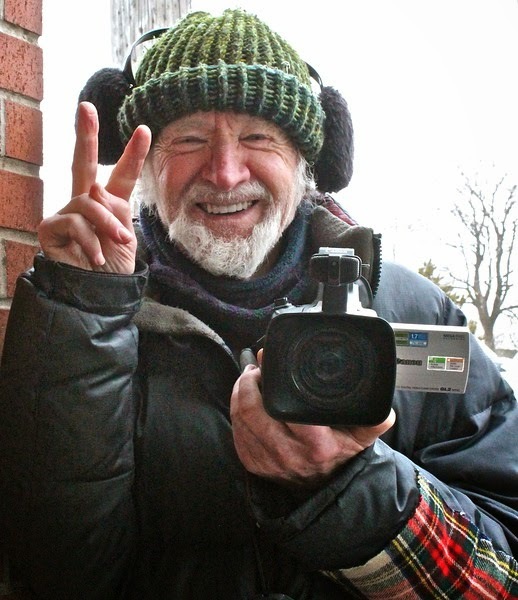 The good sign is the existence and growing popularity of RT, PressTV and other alternative media sources. I try to share many of these sources here on the blog and in other places. I know it's a drop in the bucket but when we see the US-NATO talking heads crying about RT and other media we should feel confident that our collective sharing of these voices is indeed freaking out the oligarchy. What is the Story in Yemen? Over a dozen are killed or injured in Yemen as Saudi Arabia and its allies push on with a full-scale campaign of airstrikes against rebels in the country. For more on the topic, RT talks to Franklin Lamb, who's an International lawyer and political analyst. 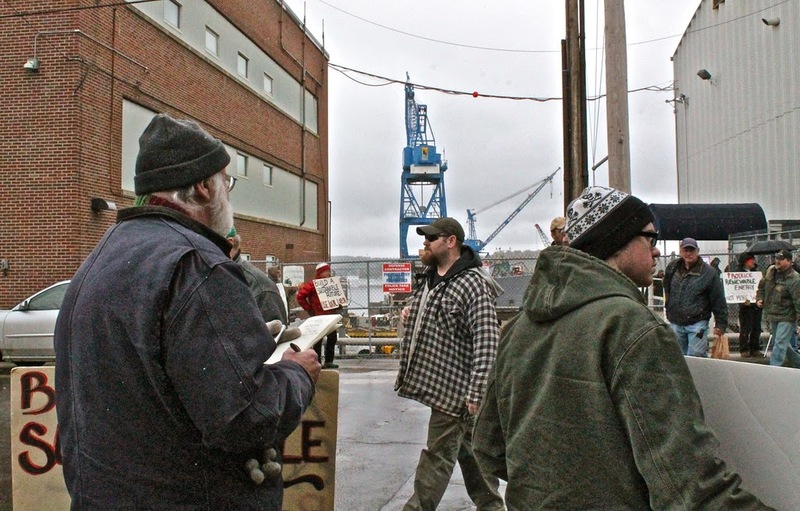 Bruce Gagnon answers some questions outside of Bath Iron Works in Maine on March 21 about "What needs to happen to stop the US from emptying its treasury on endless war" and "Why are you protesting the building of the Aegis Destroyer"? Each branch of the US military spends hundreds of millions of $$$ each year on their public relations marketing campaigns. The idea is not only to recruit young people to join the military but to also convince the average American taxpayer that the massive amount of money wasted on our endless wars is a valid expenditure - because we are doing good bringing 'freedom and democracy' to the world. It's all about creating illusions and mythology. The Navy has a big marketing program where they describe their branch of the military as "A global force for good". The Army goes for the macho image with their "Army Strong" theme. The Air Force uses the aggressive "Fly-Fight-Win" while the Marines goes with the exceptionalist tag "The Few, The Proud, the Marines?" 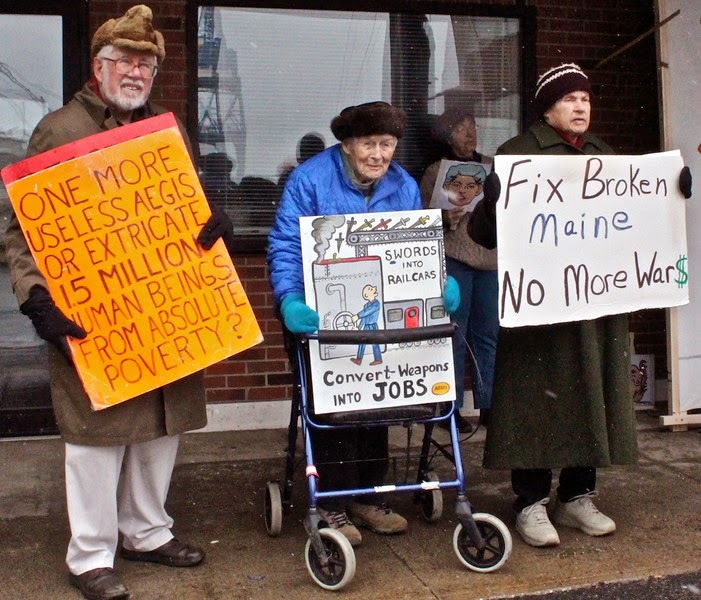 I learned today that 9,000 poor people across Maine have been kicked off 'food stamps' because they are unable to 'work or volunteer' under new guidelines forcing those getting welfare to 'earn' their benefits. 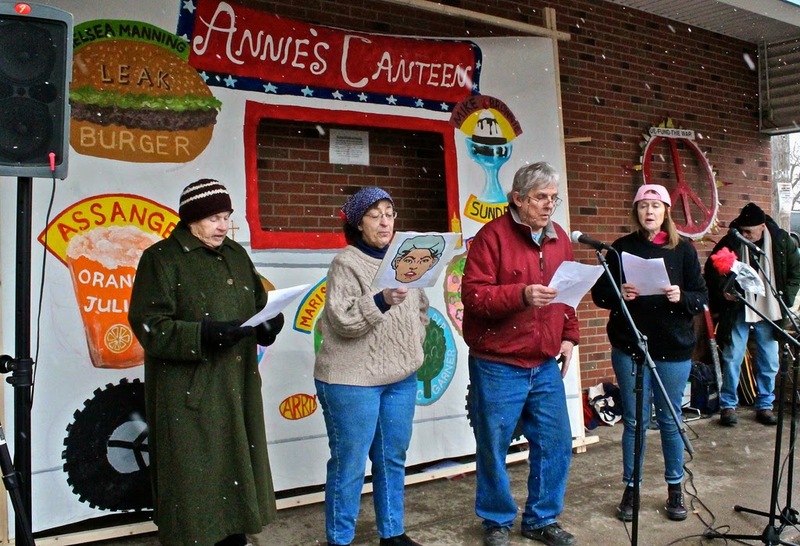 Maine is a very rural state with a population of about 1.2 million. Many people live far out in the woods and have no reliable transportation. 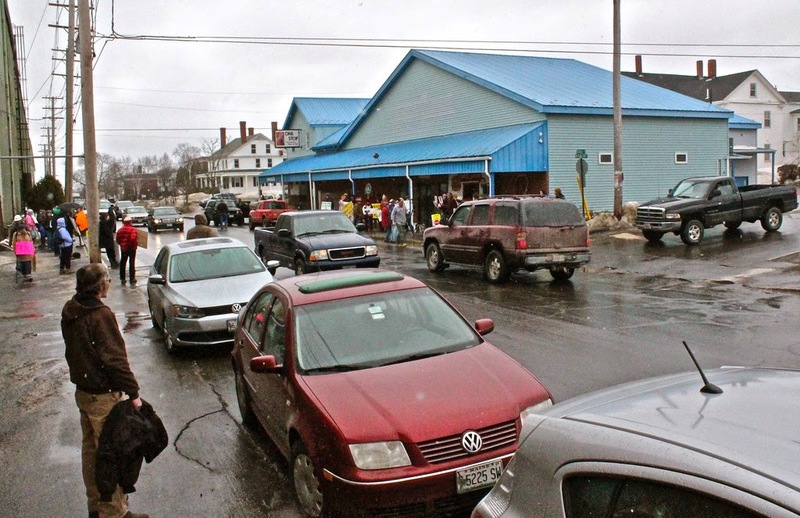 Public transportation is virtually non-existent across Maine. Thus many people are not able to travel to find jobs (that don't exist much anyway) or to volunteer with agencies that don't exist near their homes or are too far away to be able to reach on foot. It's really just one more callous right-wing strategy to continue their relentless attacks on social progress. The so-called conservatives and their neo-con partners in the Democratic Party, who claim to be worried about America's huge debt, really don't give a damn about that. They know their unending wars are the biggest contributors to the national debt and they are in no hurry to stop creating global chaos. The 'fiscal conservatives' know that more tax cuts for the rich also help create more debt and they don't seem to care. The right-wing really wants to run up massive debt so they can have a stronger argument to attack social progress. We had a phone call last night at our home from a local family that is on food stamps. Due to continued cutbacks in their food stamps they now run out of food around the third week of each month. They often ask us to help them with bread and milk which we always do. But last night they told Mary Beth that they had no food in their house. So today MB went to the store and bought food for the family. You can be sure that there are millions of others across the nation in this same boat with no one to call for help. I'd venture to guess that with just the public relations budget of the military our government could fund the food stamp program so children and their parents don't have to go hungry. In 2009 an Associated Press investigation found that over the previous five years, the money the military spent on public relations at home and abroad had grown by 63 percent, to at least $4.7 billion that year. These numbers tell you all you need to know about the priorities of the US. The US is selling 'color revolutions' all over the globe promising people if they join the side of capitalist globalization their lives will be paved in gold. They will be free. People around the world should be very careful about that word 'freedom'. What it really means is that under capitalism you will be free to be on your own with no help from the government. Corporations will be free to pick your pockets without any intervention or protection by the government. The corporations have taken the word freedom and turned it inside-out. 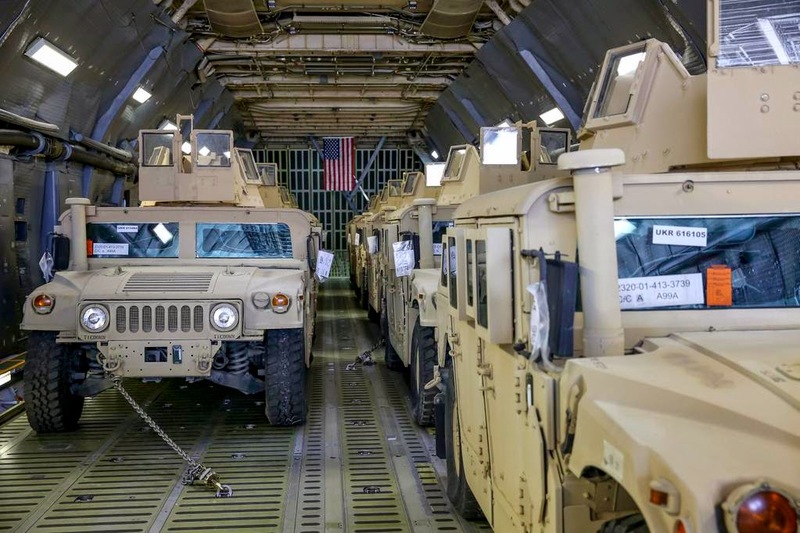 US unloading hummers in Ukraine to help the Kiev regime better wage war on Russia's border. Overall 230 of them will be shipped to Ukraine along with loads of other weapons systems. Who does this benefit? Of course first on the list is the military industrial complex that is witnessing an endless flow of American tax dollars into the weapons industry bank accounts. Secondly it benefits the fossil fuel extraction corporations that want control of Russia's natural gas (largest supply on Earth) and can only get it if there is 'regime change' in Moscow. Destabilizing Russia's border leads to the opportunity for destabilization inside of Russia.... a color revolution inside of Russia. The US wants another fool like Boris Yeltsin to be running Russia who will hand over the nation's assets to western banksters, agri-business interests like Monsanto (Russia has outlawed GMO's), and the US-British cabal of oil majors. The fact that Russia can fight back (usually the US only likes to attack those that can't realistically defend themselves - Granada, Nicaragua, Haiti, Panama, Libya, Yemen, etc) seems not to bother the corporate oligarchy now in control of things in Washington. They are blinded by their greed and appear quite ready to plunge the planet into a deadly World War III. Is establishment of the U.S. Kyogamisaki TPY-2 Radar Base (The 14th Missile Defense Battery) in the city of Kyotango really necessary for defense of the nation? Is it really for enhancing safety and peace, and for benefit of people? According to Government’s announcement, the purpose of establishing X-band radar base in Kyotango is for ‘missile defense’ to control especially attacks from North Korea. It is uncertain, however, that the X-band radar, providing data for interceptor missiles attacks of U.S. Navy Aegis really protects Japan. The establishment of a radar base in Kyotango is a part of U.S. military ‘ballistic missile defense systems’ strategies for controlling South East Asia, and it means to defend U.S. bases in Pacific region and U.S. homeland in the first place. The operation of X-band radar of Kyotango started December 26th, 2014. It has brought a drastic change on the life of people nearby small villages, namely Ukawa and Sodeshi (population 1,400). They live on mainly agriculture and fishery. The quiet environment of typical Japanese seaside villages is now a forefront of modern missile wars under the U.S. and Japan Security Treaty. With operation of X- band radar, they are now exposed to threats, or first attacks from other nations, and also, to unknown environmental change. Today, local residents are exposed 24 hours continuing low frequency noise (55 to 70, over the limit of 41 decibels) caused by the engines. It is almost unendurable to human body. Many complain of headache or insomnia. Japan’s Ministry of Defense and local government of Kyotango discussed the matter in February, and now the U.S. Army has applied noise reducing mufflers. Yet, it does not seem to reduce noise effectively. Like Shyariki in Aomori, they had to have electricity directly from the electricity company to solve problem, which takes almost over a year. Although, more than half of the people in the region were against the planning of the U.S. army site at the beginning, they were almost forced to offer their land for use (300 yen per 1m²). They signed the contract, saying it was not for money the government paid them, but for the sustenance of villages, as the young generation tends to leave and forsake their native places. Moreover, they could not dare say no to the strong advocacy of ‘defending the nation’, and of ‘national interest’. Their ancestors who died during World War II sleep in the graves faced with the present radar base across the road. It was only reluctantly that they conceded. 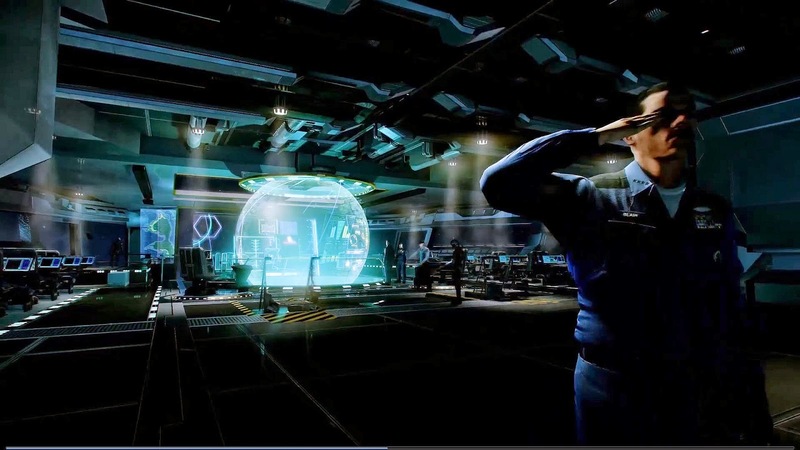 All process from the start of construction through installation of the radar base was disputable. The related information was almost completely undisclosed. 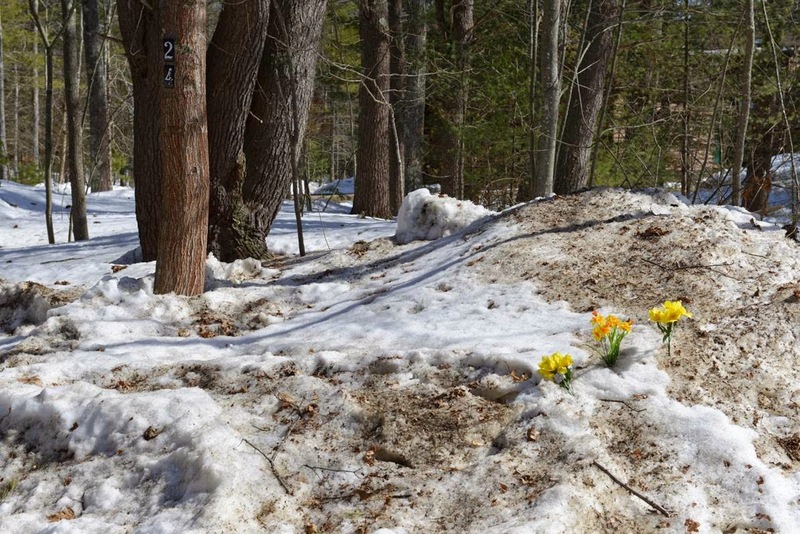 Before the actual construction, no satisfactory explanation on the adverse effects or possible health hazards was given in the town meetings or in the public hearings. Neither local governments of Kyotango and Kyoto Prefecture, nor Self Defense Forces which was supposed to work with U.S. military could give appropriate answers to questions raised by people concerned. No environmental assessment was conducted by the Government, since there is no domestic law applicable. The construction of the site began suddenly in May 27th, 2014 with no public information until the very day before. The body of the radar was brought in, with no proceeding public notice. It was at midnight of October 21, as if in the case of emergency traffic, they drove trains of trucks from Komastu airport of the Self Defense Force base. The process reminds us that Abe regime was preparing for the secret law to be enacted in the first half of the year 2014. This move was mainly for the sake of the military cooperation with U.S. Forces. On December 6th, 2014, the secret law was put in force. A group of concerned citizens (Kyoto Citizens for Preservation of Environment)¹ sent an inquiry letter to U.S. Forces Headquarters, Zama Camp, addressed to Commander Angelella Salvertore in September 2014. The letter focused on the environmental questions citing the articles (Chap 12, 13) of Japan Environmental Governing Standards (JEGS). The answer from U.S. Army authorities was expected. In November, an answer letter came from Lieutenant Colonel Kevin Toner. In the inquiry letter, was a crucial question whether U.S. Army has already conducted any environmental research on the base site before starting the construction? 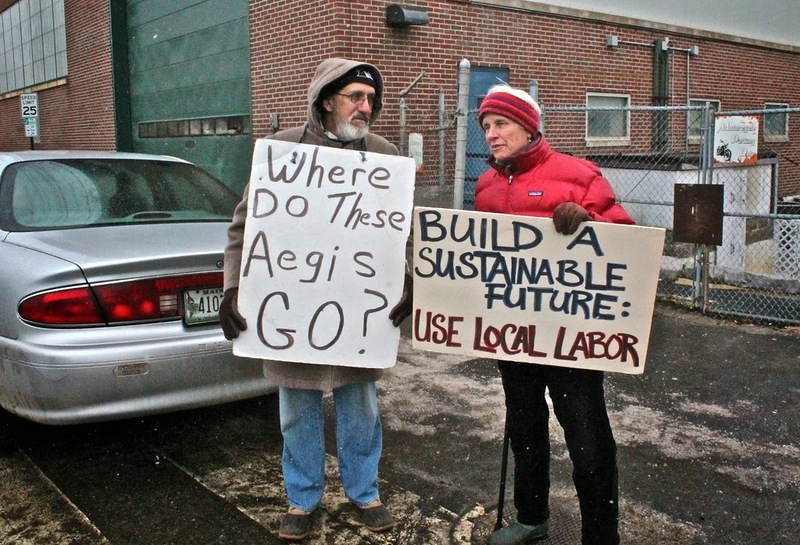 To this question of an environmental research required in JEGS, their answer was vague, although they say they will comply with JEGS. Not referring to an environmental research directly, they say that natural resources management plans is not required, as the size of the site, 8.7 acres is less than the size applied to regulation, 500 or more. They add that “in case of smaller size, it is required if they have natural resources that are especially vulnerable to disturbance, but the land is not sustaining or serving for any known species for concern”. It is reported that U.S. Forces in Zama asked Government of Japan for the need of research before the construction of the new base in Aug, 2013, and was given a negative answer (Kyoto Newspaper, Aug 8, 2014). It seems that the U.S. Forces agreed to the idea that no research was needed. 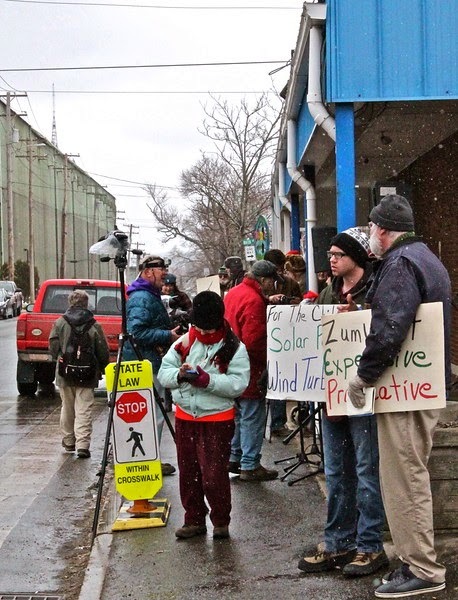 However, under the U.S. regulations of NEPA, it seems they did conduct a small scale research. They mentioned that they conducted surveys on the noise, water, and electromagnetic wave with assistance of Ministry of Defense, and would conduct the surveys also after operation begins. At present, the data of surveys before the construction turned out to be no help for the noise problem. The data given on electromagnetic waves was only at a few spots and counting data was far from satisfactory. The adverse effect of electromagnetic waves (6km radius) is still not clearly explained by either U.S. Army or Ministry of Defense, even after the start of operation. No satisfactory information is given to the public as to water and water supply system (50 tons’ need) or the water contamination that might be caused. They say they conducted a physical survey of the caves (Ana-monju in Japanese) beneath the base site, and judged no physical damage would be caused. This cave is in fact listed in Red Data of Kyoto Prefecture as a protected landscape (formed with volcanic rocks 25 to 15 million years ago). The details of the survey are not given to public. They neglect the cave itself has been a sacred spot of religious worship of Monju (one of Buddha’s disciples) since 17th century, related to a nearby temple Kuonji. It is notable that they did not put much consideration into Japanese historical, cultural heritages. To the question on the protection of endangered species, such as falcon (category II, vulnerable) and some vegetation (Red Data of category of Kyoto Prefecture), U.S. authorities denies direct harm. Their answer indicates that they limited the area of research to the small area of the actual site. However it seems that change of environment at even one spot affects birds and plants in various ways, in a larger scale. Without conducting the proper environmental assessment, nobody really can predict how operation of X-band radar base with its electromagnetic waves, hazardous noise, and other possible contamination would affect the whole environment of living creatures. The area is located at the east end of San’in Kaigan (Seaside) global Geo Park of UNESCO. It is evident that the army base would damage the beautiful landscapes, affecting bio-diversity environment, and local industries such as fisheries. Mayor Yasushi Nakayama requested Major Jason Albright to call attention to the garrison to safety and security for citizens of Kyotango in Sept, 2014. People were worried about possibilities of traffic accidents or crimes caused by U.S. service personnel and civilian employees. In spite of urgent driving lessons given to U.S. Army garrison, the numbers of traffic accidents counts 14 cases (at the end of February 2015), which is unusually high, with stationing of 160 personnel and civilians. The details of the accidents were not openly informed. People still fear for future accidents. They are worried that the region would be like Okinawa where many accidents and crimes are daily reported. People begin to understand what the establishment of U.S. base in Kyotango in Kyoto means. 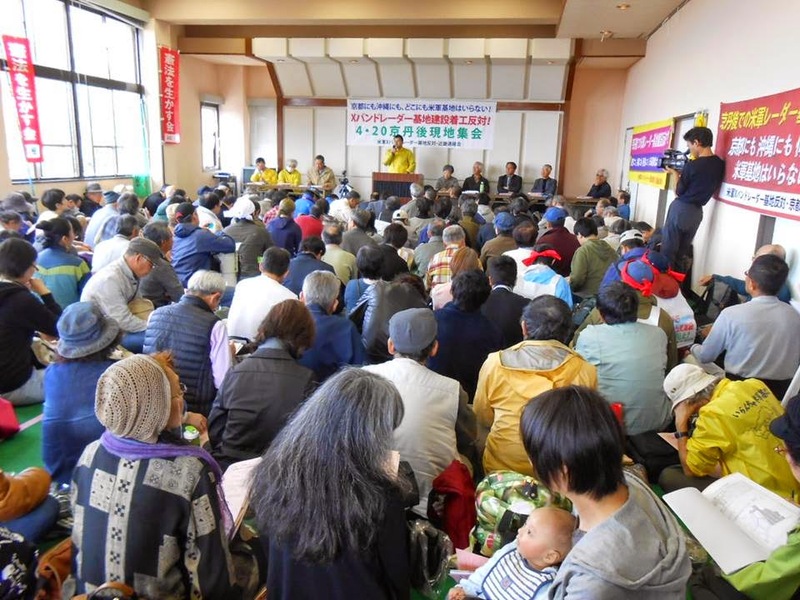 Similar to the situation of Okinawa, the rights of people are not much regarded in Kyotango. The threat and danger which might be caused by the U.S. Army stationing in Japan, now is becoming a reality in the Kansai area. People of the mainland of Japan realize that they share agony with people of Okinawa. Japan’s defense policy and recent government’s decision toward closer cooperation with U.S. Forces, denies rights of people for safety and peace, damages the environment, and violates the Constitution of Japan. - The Global Network will hold our 23rd annual space organizing conference (July 29-August 2) in Kyoto in order to stand with the people of Kyotango in their opposition to this 'missile defense' radar base. 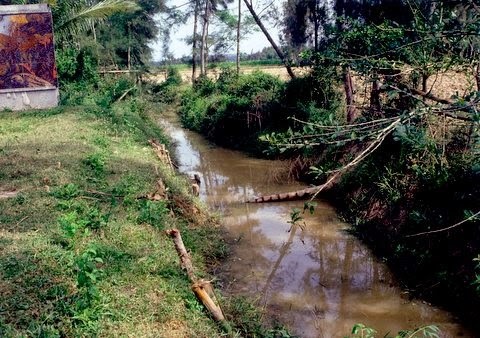 This is the picture of the infamous ditch at the My Lai Massacre site that I took when I and three other Vietnam veterans went back to Vietnam in March of 1994. This ditch is where American soldiers herded close to 100 Vietnamese civilians, and executed them at point-blank range with automatic weapons. Now, imagine this village being one of a thousand villages that were bombed or received artillery rounds throughout the Vietnam War. One was done by air, My Lai was done with troops on the ground. The ones that were done by air strikes or artillery rounds are what I call My Lais from the skies. They may not have been 504 murdered, but they were atrocities, and many times far exceeded 504 with major B-52 carpet bombing. They happened everyday during the Vietnam War. You do not bring the enemy to the peace table by just killing military combatants. 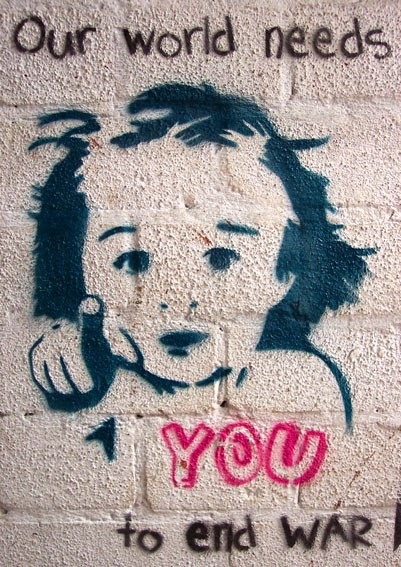 You ultimately bring the enemy to the peace table by killing innocent civilians. They are military targets. This strategy is as old as warfare itself. The U.S. Government lied about this in Vietnam, because lying is the most powerful weapon in war. If one were to emotionally absorb this statement about killing innocent civilians because they are military targets, you can imagine what it did to hundreds of thousands of Vietnam veterans when they came home and had their core beliefs destroyed. That is why denial is a sacrament. The greatest lie of the Vietnam War is unspeakable. I was in a military unit that had three fire bases that had heavy artillery, and tanks that had 90mm guns. God only knows how many rounds were fired by those weapons during the lifetime that those weapons were in Vietnam. You wonder how many innocent Vietnamese were killed while the U.S. exercised the insane policy of free-fire-zones. Deciding to remain on their ancestral homeland was no excuse as far as the U.S. military was concerned. You have personality disorders, and you have barbaric personality disorders. It's all so neat and orderly. And, it all starts in the, "Orderly Room." Some people call it the Pentagon. I just got through listening to Seymour Hersh testify on "Democracy Now," about the My Lai Massacre. What he said was extremely powerful, to say the least. I have such a vivid memory of the day I spent four hours at the My Lai Massacre site with my fellow vets. As we drove up to the massacre site, there was a Vietnamese woman who worked at the massacre site who had to leave on a bicycle, because she could not be present when American veterans came to visit. The whole time I was there my gut was in my throat. I think I felt the same way when I was at the Dachau Concentration Camp in 1954, when I was nine-years-old. The over powering feeling I had at My Lai that day was absolute shame. Guilt, is I have done something bad, Shame, is I am bad. My national shame was who I was. My father was a career Army officer, a WWII veteran, so I was born in the U.S. military before Hiroshima and Nagasaki. I lived in Japan from 1947 to 1949. After a couple of hours at the My Lai Massacre site, the four of us went into a separate building that had a statue of Ho Chi Minh. There was a guest book there, so we signed it. After awhile, I left the building because I wanted to go through the massacre site again to take more pictures. It was during that time that a tour bus showed up, and out stepped about 45 Vietnamese people, many of them small children. When that happened, and they saw me, I felt like a murderer. The shame inside of me was over whelming. I took a picture of all of them standing by the large monument depicting the massacre, with Vietnamese holding dead children. I hurried to take more pictures, so I could get away from this bus load of people, the so-called "gooks" that my country referred to. I had my head down, as I was headed back to the building where I last saw my other vet friends. While I was doing this, I was stopped by a Vietnamese man who was on the bus. He looked to be a man who had fought against the Americans. He stuck his hand out and we shook hands, followed by him saying something in Vietnamese that I perceived was very kind, and compassionate, as I could see it in his face. I will remember that moment the rest of my life. Thousands of protesters came to Madrid last weekend from across their nation to try and get the government to listen to their demands. 'Dignity March' was a public protest over social injustice and stubbornly-high unemployment in Spain. Last year hundreds of thousands marched in the capital. Japanese island of Okinawa takes on the U.S. military presence there - while Tokyo sides with the Americans. The U.S. will keep increasing its military presence in Asia, in order to put pressure on China. Washington wants to work with a new global development fund - spearheaded by China. That's a massive U-turn by US officials who just 2 weeks ago slammed London for seeking to engage with the Bank. RT is joined by Gerald Celente. In 1964, with the Cuban Missile Crisis fresh in viewers minds, the Cold War at its frostiest, and the hydrogen bomb relatively new and frightening, Stanley Kubrick dared to make a film about what could happen if the wrong person pushed the wrong button. We are back in that moment today. “We are together in this battle with our kids; our strength and inspiration, they were the first to undertake the protests. We are against illegal military occupation of Italian soil by the US Navy, against illegal installation of antennas and the health hazard those antennas represent; we are against becoming a primary military target in US conflicts. We fight for life, respect, cooperation, regardless of ideologies and political labels” (“No-MUOS Mothers“, Niscemi, Italy, 8 March 2015). I am introduced to the No-MUOS movement and its initiators, the “No-MUOS Mothers”, by Daniela and her friends, one Saturday morning in my hometown in Sicily. MUOS stands for Mobile User Objective System, a network of powerful antennas which are being installed around the globe (four stations between US, Europe, Australia and Hawaii) by the US military. Daniela, one of the activists, explains that the system is going to be operative as a whole by 2017. 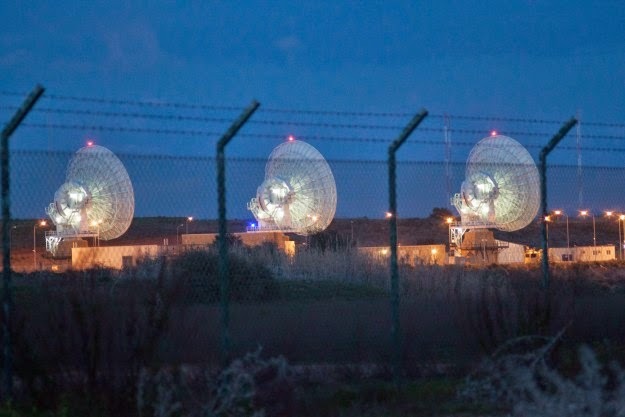 MUOS European station in Sicily is nearing completion and being tested, although built in a densely populated area: Sicily counts nearly 6 millions inhabitants, which will be continuously exposed to scientifically proven radiation damage. “No-MUOS Mothers” argue that, once completed, this European station will represent a primary military target for US conflicts across the globe, as MUOS system can be used to remotely control drones. Furthermore, MUOS system in Niscemi is being built against all Italian laws, breaking an extremely delicate ecosystem at the heart of a natural reserve, a forest of ancient cork oaks called “La Sughereta“. This place is considered so fragile and precious by Italian laws that visitors are asked to “not displace the sand“. Andrea, one of the activists, finds such sign while walking to the hilltop, where three giant antennas are being built behind a fence. There are non-violent demonstrations, and the activists can only use their physical presence on site to slow down the works, which are proceeding regardless of the Regional Administrative Court judgement following their legal actions. No-MUOS is a movement spreading across Italy and Sicily which represents eight years of full-time commitment to its initiators. The activists’ demands are about the right to self-determination of a nation, about the human right to live a healthy and peaceful life, and about respect of ecosystems and enforcement of Italian environmental legislation. At the time of writing, No-MUOS movements of Italy are preparing for a demonstration to be held nationwide on 4th April, 2015. The US government is a “criminal” organization that is making false accusations against Iran. The US administration is a “criminal” organization that is making false accusations against Iran’s nuclear power program to deceive the public and justify a military assault on Iran, an anti-war activist and journalist in Maine says. “The US and Israel have a plan for ‘regime change’ in Iran, they use nuclear weapons [claims] to justify their actions toward the Iranian government and the Iranian people, said Bruce Gagnon, the coordinator of the Global Network Against Weapons & Nuclear Power in Space. “The corporate, criminal syndicate that runs our government in Washington is repeatedly lying and deceiving the global public in order excuse its own aggressive behavior,” he added. The United States, Israel, and some of their allies accuse Iran of pursuing military objectives in its civilian nuclear program. 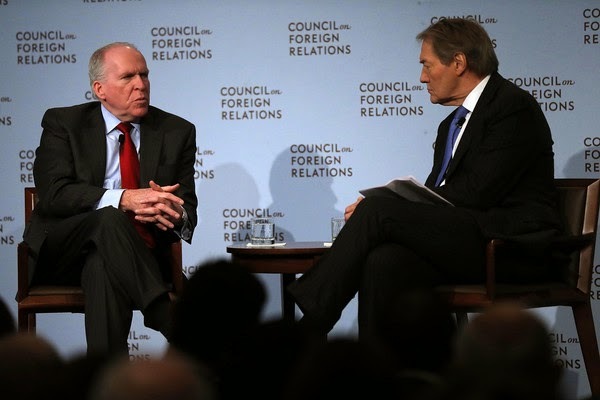 On Sunday, CIA director John Brennan repeated the previous allegations that Iran intends to produce a nuclear weapon and warned Tehran of “tremendous costs and consequences” if it moves in that direction. Iran rejects the allegation, arguing that as a committed signatory to the nuclear Non-Proliferation Treaty (NPT) and a member of the IAEA, it has the right to use nuclear technology for peaceful purposes. Brennan’s provocative comments come as negotiators from Iran and the P5+1 – the US, Britain, France, China, Russia and Germany – have reported progress ahead of a July 1 deadline for a comprehensive agreement over the Islamic Republic’s nuclear energy program. The IAEA has conducted numerous inspections of Iran's nuclear facilities but has never found any evidence showing that Iran's civilian nuclear program has been diverted to nuclear weapons production. 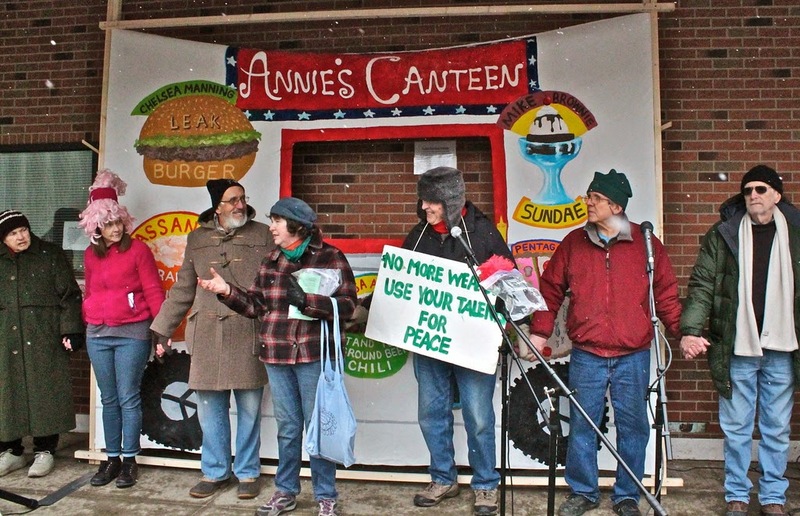 Get more information about Peace and Planet Mobilization for a Nuclear-Free, Just and Sustainable World conference and protest on April 24-26, 2015 in New York City here. 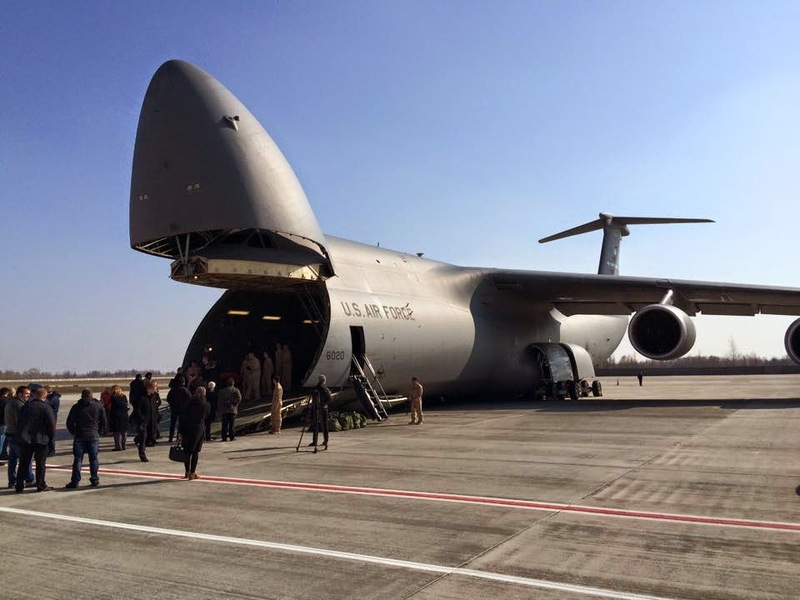 A convoy of US Army military vehicles arrived in Riga, Sunday as part of a 1,770-km (1,100-mile) tour through six European countries. The convoy is making its way through Estonia, Lithuania, Poland, Latvia, the Czech Republic and Germany, before reaching its final destination near the German town of Vilseck. Czech people were told not to throw tomatoes and eggs at a US military convoy rumbling through Eastern Europe, the local media said, citing the laws of the land. Those in love with egg & tomato hurling may get up to three years if convicted. This statement was aired on Czech TV Nova ahead of the planned US military convoy. "The peace process [in Ukraine] is being complicated due to disagreements within NATO. While an US/UK led faction is pushing for a belligerent policy towards Moscow, a French – German led faction is advocating for peaceful relations with Russia and greater integration of the EEU and EU. As long as this NATO-internal dispute hasn’t been settled it is probable that Ukrainian citizens on all sides will continue to bear the brunt of the geopolitical chess game." Today I got the link to an interview I did last week for PressTV in Iran. It was about Ukraine and Russia. In part I said, "European businesses are suffering from the sanctions on Russia and they’re putting a lot of pressure on their governments to end this American war against Russia and Ukraine... The US wants to split Europe away from Russia, further isolating Russia. 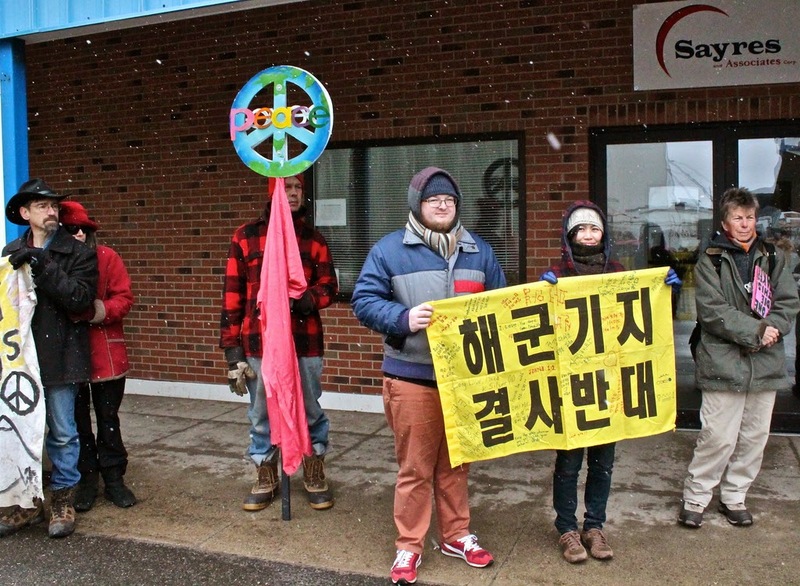 They want to stop Russian natural gas shipments into Europe… and they want to replace this with US fracked gas." 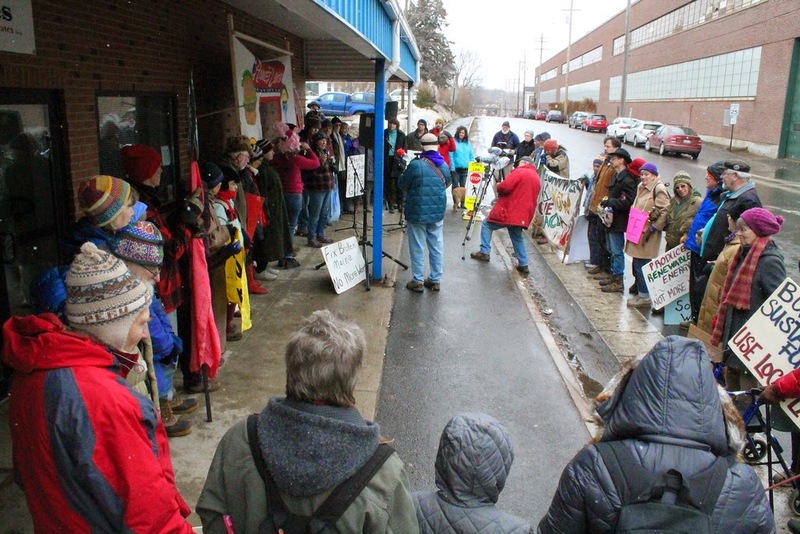 People had lots of good things to say about our weekend protest at the destroyer shipyard here in Bath. 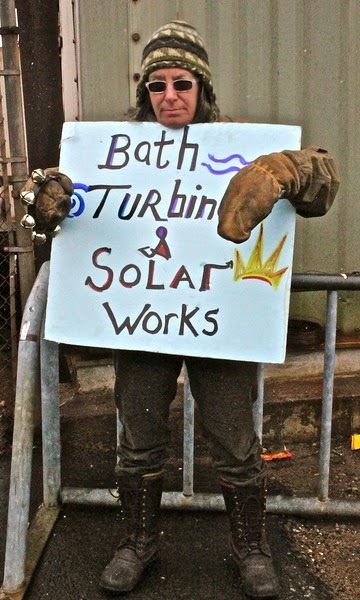 Our message about building rail, wind, solar, and tidal systems at BIW is spreading and many more people are talking about it. 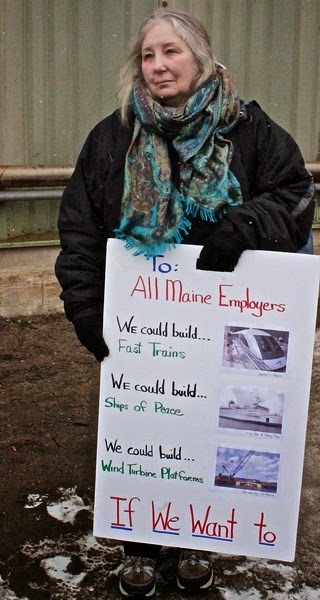 The politicians run from us here in Maine if we mention such things. So the pressure to 'go along' keeps many of the public in line and quiet - they do what they are told - even if it is like swallowing some awful medicine. But now and then we reach a tipping point and it's starting to smell like we are heading for the down-stretch. Something is going to break - one way or the other - real soon. And when things break the public will be frantically looking around for ideas, action plans and a certain 'political line'. Folks with good hearts and good sense better create the political and social organizational infrastructure now because soon enough we are going to need it. Don't want to get swept away in the tide. Army officials are investigating disturbing allegations of a platoon stationed in Alaska given a free pass to use racial slurs against other officers and soldiers free of consequence, unofficially dubbing it ‘Racial Thursday.’ RT’s Manila Chan has more on the charges, and the possible punishments, if the platoon is found guilty. NATO's expansion has been the main factor in provoking the crisis in Ukraine - the General Secretary of Campaign for Nuclear Disarmament, Kate Hudson, stated at the Stop the War Coalition meeting in the Bloomsbury Central Baptist Church in London, Thursday. 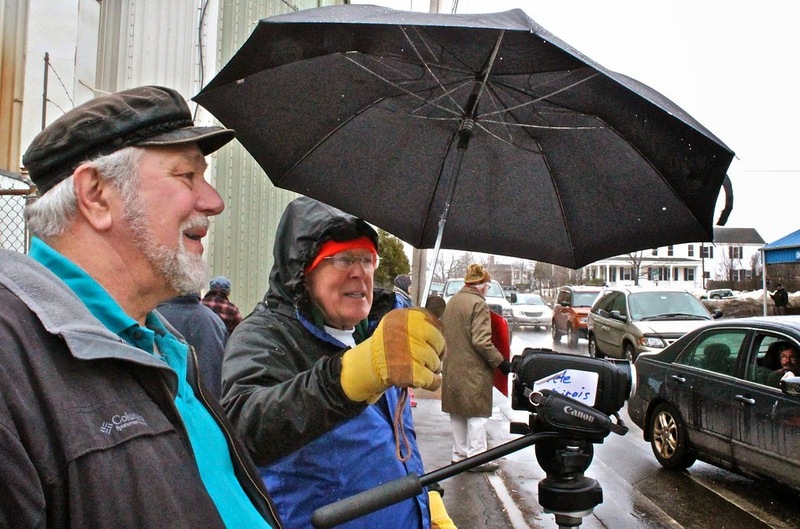 National Day of Mobilization from Regis Tremblay on Vimeo. 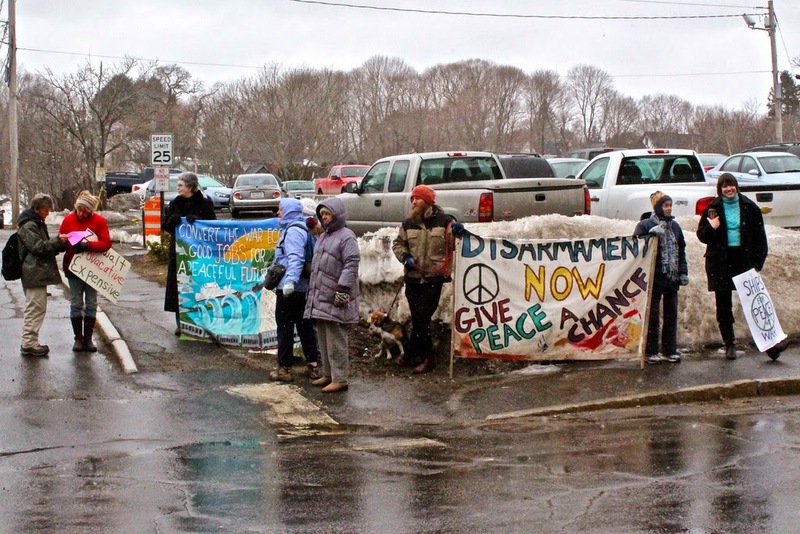 Here is the video from March 20 BIW Lenten protest in Maine organized by the Smilin’Trees Disarmament Farm and CodePink Maine. Our two guests were Hee Eun Park and Paco Michelson from the Save Jeju Now international team representing Gangjeong village. Sadly our sound system quit working half-way through the event - it impacted the skit organized by CodePink's Lisa Savage and my talk after that....but we managed.